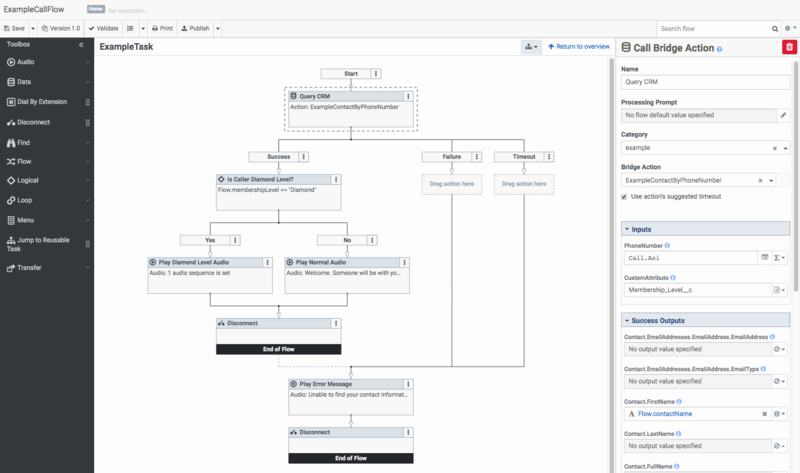 The following describes an example call flow in Architect that uses a bridge action with the Zendesk data dip connector. In this example call flow, the IVR plays audio messages based on information that the connector group retrieves from a CRM. The connector group retrieves this information by calling a bridge action (ExampleContactByPhoneNumber) that is associated with the connector action GetContactByPhoneNumber.